You must be the account owner or billing contact to change credit cards of view invoices. 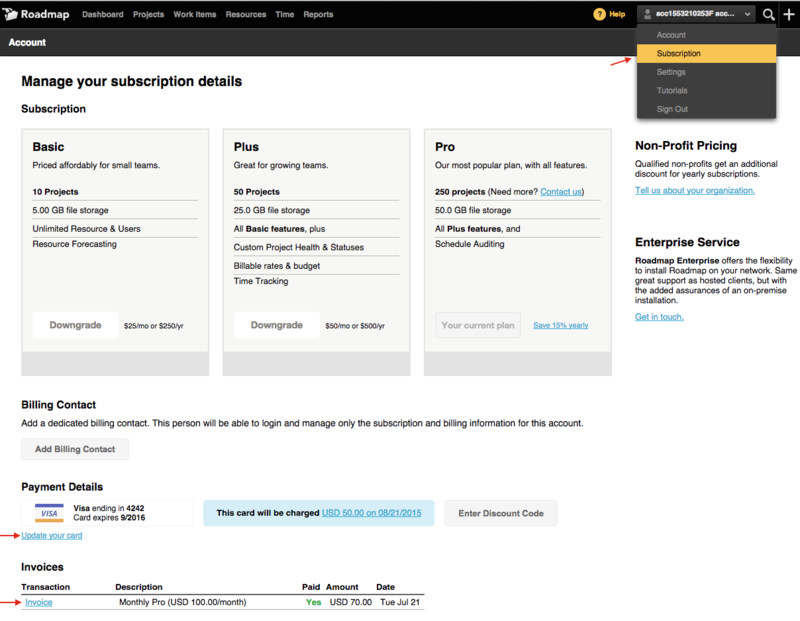 To change credit card information, view (or print) invoices, or designate a billing contact*, go to Subscription and scroll to the bottom of the page. *Billing contact is assumed to be a non-Roadmap user (e.g. Finance or Accounting) so you cannot designate an existing Roadmap user. The workaround is to use a personal email address. Be sure to be aware of which user you're logged in as!